BWT has been designing and working alongside fire protection companies in Australia since 1998. 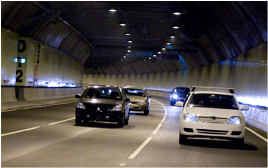 We have supplied pressure control deluge valves for fire protection in road tunnels throughout most Australian states. 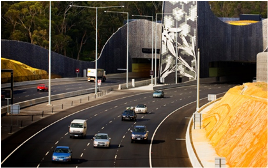 In 2006, the Mullum Mullum twin three-lane road tunnels were constructed – connecting Melbourne’s Eastern suburbs from Ringwood to Donvale on the Eastlink freeway system. Bermad was selected as the successful supplier of pressure control deluge valves, which have been in operation to protect the 1.6km tunnel for over ten years. As the tunnel design was a U shape, with the lowest point in the middle, pressure control deluge valves were designed to provide consistent pressure throughout. Consistent pressure, regardless of location, ensures an optimum water profile for the fire spray system. Bermad supplied electric pressure control, 150mm diameter valves. The valves were chosen due to their ability to accurately regulate pressure and supply the flow rates required for the tunnel. Some valves were supplied with explosion proof solenoids and pressure switches – with all valves being delivered in full and on time. Bermad was selected for the project for many reasons. Our product performance, customer service and local technical engineering experience were all part of the selection criteria. As was our ability to assist with commissioning. We were able to manufacture a custom design deluge system that met the tight space constraints of the tunnel. For a visual view of a typical tunnel fire protection deluge system, visit the Fire Protection playlist on our YouTube channel.